As someone drawn to natural supplements — and the occasional herbal remedy — it was only a matter of time before I tried an Ayurvedic supplement to help me sleep. Ayurveda is a traditional Indian medicine philosophy, has been around for thousands of years, and is known as one of the oldest systems of natural healing. 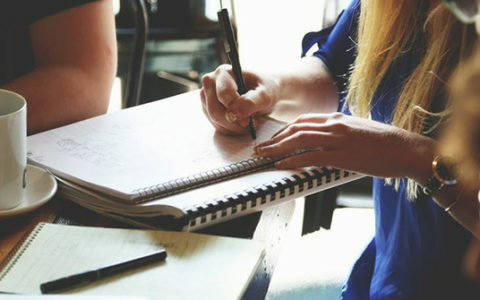 Maharishi Ayurveda is a company that specializes in Ayurvedic supplements. Blissful Sleep is their best-selling sleep aid, claiming to induce deep sleep, with no side effects and no fog in the morning. Of course, I take everything with a big dose of skepticism before I try it. 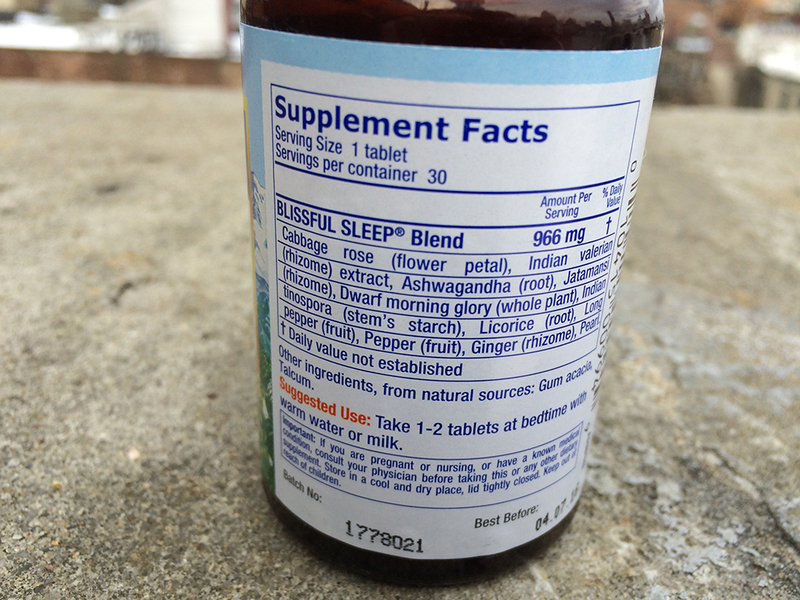 Read on to see how I slept while taking this herbal-based supplement. Blissful Sleep Basic has 17 carefully chosen ingredients, including Rose, Indian Valerian, Ashwagandha and Pearl, that work synergistically to support wholesome, natural sleep. Take 1-2 tablets at bedtime with warm water or milk. This supplement contains a number of ayurvedic ingredients. Cabbage Rose (flower petal) — The rose is used in Ayurveda as a remedy for a number of ailments, including hormone imbalances, emotional imbalances, and sleep disturbances. There is also evidence of analgesic and anticonvulsant properties. Indian valerian (rhizome) extract — This fragrant herb has been historically used as a sedative and pain reliever and prescribed by ancient Greek physicians as a treatment for insomnia. Ashwagandha (root) — The extract of this plant’s roots have been used in Ayurveda, as a mood stabilizer, and to combat stress and anxiety. The extract is said to work as a nervous system depressant, bringing about tranquility and relaxation, and making it easier to fall asleep. Jatamansi (rhizome) — A calming herb, Jatamansi is used in Ayurveda to treat primary insomnia. Dwarf morning glory (whole plant) — Called Shankhpushpi in Ayurveda, this compound acts on the Central Nervous System and has been linked to boosted memory. Indian tinospora ( stem’s starch) — Used in Ayurveda to treat a number of ailments, including diabetes, upset stomach, and hay fever, tinospora is being studied for its immunostimulatory properties. Licorice (root) — This root has been used in folk medicine to treat digestive system issues, sore throat, bronchitis, and cough. Pearl — A traditional source of calcium in Ayurvedic medicine. Long pepper (fruit), Pepper (fruit), Ginger (rhizome) — The combination of ginger and pepper, which may help the body absorb nutrients through the digestive system. Other ingredients from natural sources: gum acacia, talcum. drink my coffee cold through the New York Winter — I had it with a glass of cold water instead. The smell was amazing, very herbaceous, and it definitely got me into my sleepy time mode (seriously, just the smell). I felt very relaxed within 20 minutes of taking it, and fell asleep easier than usual. I did wake up a couple of times during the night, but was able to fall back asleep relatively quickly. The following two nights, I took two capsules before bedtime, fell asleep quickly, and stayed asleep throughout the night. Both my sleep trackers indicated a 98-99% sleep quality night on both nights. I woke up before the alarm, feeling refreshed and very centered. 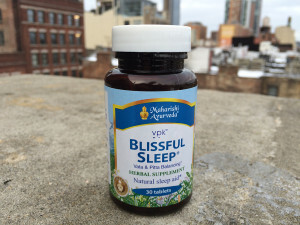 While at first glance this pill may seem mild, Blissful Sleep is one of the more effective, “all-natural” or herbal supplements I’ve tried in awhile. I will continue to take this on a regular basis, especially when I just need a little nudge to help me get to sleep and stay asleep. 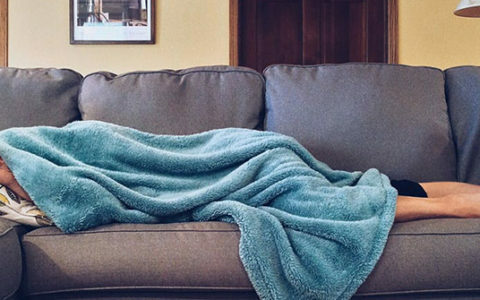 I will be trying this on my next trip as well to see if it helps me fight jet lag — I’m curious to see how it stacks up against my favorite jet lag-fighting supp. If you are looking for something mild, and a little different than the other sleep aids out there, I would recommend giving this a try.